Hey here music fans, welcome back to another series in my arts and entertainment blog. I have been trying to save some money lately by buying used cd’s online from a classifed ads website called http://www.used.forsale/ that I would advise if you wan’t to do the same. I listened to a lot of Tech n9ne when I was younger, and found a copy of the CD me and a friend would drive around and listen to all the time when we were high school seniors; All 6’s and 7’s. One day my friend showed up to give me a ride to school and he had picked this CD up the day before and I swear we listened to this CD for over a year as a top rotational CD. One of the Tech N9n’s first big mainstream CD, this CD was an instant hit with a lot of people(mainly white teenage boys). 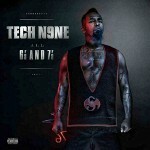 Tech N9ne had stated that All 6’s and 7’s the title came from the idea of a constant state of confusion and disarray. He was also quoted as saying that this album would be his biggest and craziest ever, and he hit that note perfectly. The album featured guest appearances from B.O.B., Hopsin, Kendrick Lamar, YelaWolf, Snoop Dogg, Twista, Jay Rock, T-Pain, Busta Rhymes, OoberGeek, Lil Wayne, Krizz Kaliko, Big Scoob, and many more. Tech had hopped to have Nicki Minaj, Tyler, the Creator, and Janelle Monae but those discussions unfortunately fell through. Eminem was also to do a verse on the album, although he reluctantly had to decide after conflicts prevented him from finishing his verse on time and eventually not eve before the album release as they were willing to put the song in last minute if possible. This album marked Tech N9n’s jump from the underground to popularity, with mainstream artists openly admitting their desire to compile with Tech N9ne before the album and ending up on it, like Lil Wayne and B.O.B. The singles on this album were just amazing, and if the count from Itunes was carried over from everything they would definitely have been played for days each. The first single “I Love Music” featuring up and coming rappers Kendrick Lamar and Oobergeek was released as a promo for the Fontana Music Distribution Website. Personally this wasn’t my favourite single from the CD even though I love listening to all of the rappers on the single, but the second single ‘World Wide Choppers’ is one of my favourite songs of all time. This song featured about half of all the featured guests on the CD, including YelaWolf, Busta Rhymes, Twista and Ceza along with 5 other and TEch N9ne himself. This song has three verses that are not in English,and the idea of the song is to have rappers from around the world rap insanely fast and “chopping words” thus ‘Worldwide Choppers’. It debuted on the Us Billboard Singles top 100 at #4, the highest of any single on the album. ‘Am I a Psycho?’ featuring B.O.B. and Hopsin was revealed by Hopsin via facebook and later by Hopsin’s record labels owner Dane Ritter confirmed shooting of the music video. The video aired on January 21st on MTV2 and on MTV’s website. The album received great review from critics, and debuted at #4 on the US Billboard 100 list selling over 55,000 copies within its first week. The album was also a big hit in Canada, reaching number 14 on the Canadian albums chart. The album was made available via Itune and various diffferent websites selling Hip Hop Cd’s(like https://www.discogs.com/Tech-N9ne-All-6s-And-7s/release/3019385 ). The album received high ratings across the board, averaging a 8.5/10 from online website reviews. The originality of the album was praised, as it only had 5 samples in contrast to most rap albums released recently that contain over a dozen samples each. As of the most recent information i can find, this album has sold 230,000 physical copies to date and an unknown amount of times from online downloads, yet alone illegal torrenting. You guys know how much of a tech geek I am, so hopefully you read my last article on the best portable speakers because that is one of the best ways to listen to this album. Other than driving around with your windows down and the bass up; going with some friends somewhere chill with a little bit of those stinky cigar things and some drinks (Caribou Lou anyone?) Like all Tech N9ne CD’s this is a perfect party mix, containing those deep bass hits and those clubs beats. Plus with all the guests everyone is bound to have heard of someone. That’s it for me guys, hope you all enjoy your cd’s!